Currently available in color black only. Extra Large Individual House Number - - 10", 15", and 20" house numbers and letters in 11 popular colors: burgundy, ivory, white, grey, charcoal, red, yellow, green, blue, and brown as well as black. Custom made in the USA. The numbers and letters are made from 1/4" acrylic. If you are interested in thicker numbers or letters on in numbers or letters made from metal, please do not order this product. Single-ply, modified 0.25" thick acrylic construction. 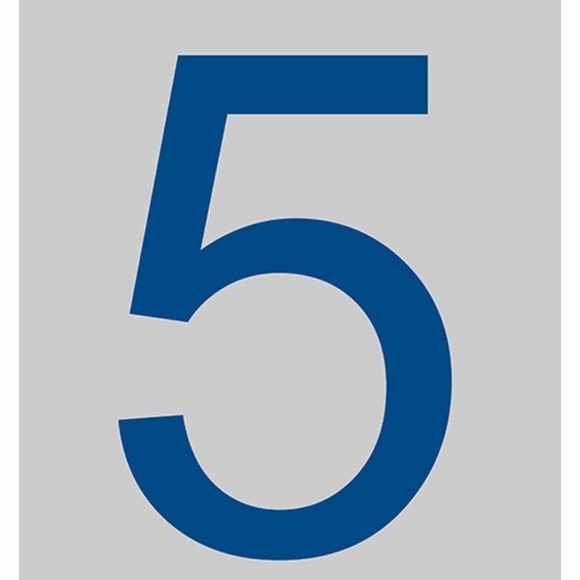 Dimensions 10" (approximate): the number 1 is 10"H x 3.75"W. All other numbers are 10"H x 6.75"W. Letter width varies. Dimensions 15" (approximate): the number 1 is 15"H x 5.5"W. All other numbers are 15"H x 10"W. Letter width varies. Dimensions 20" (approximate): the number 1 is 20"H x 7.25"W. All other numbers are 20"H x 12.5"W. Letter width varies. Extra-large house numbers in eleven popular colors: black, burgundy, ivory, white, grey, charcoal, red, yellow, green, blue, and brown plus black. Custom made in the USA.